Designed by Apple to complement iPhone XS Max, the form of the silicone case fits snugly over the volume buttons, side button and curves of your device without adding bulk. 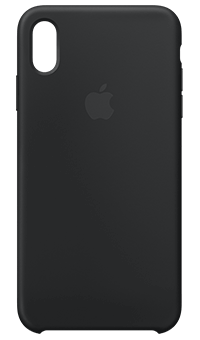 Designed by Apple to complement iPhone XS Max, the form of the silicone case fits snugly over the volume buttons, side button, and curves of your device without adding bulk. A soft microfibre lining on the inside helps protect your iPhone. On the outside, the silky, soft-touch finish of the silicone exterior feels great in your hand. And you can keep it on all the time, even when you're charging wirelessly.